Massachusetts: One of Harvard University’s most famous dropouts, Facebook Inc. founder Mark Zuckerberg, returns on Thursday to the Ivy League school to address its graduating class. The 33-year-old tech titan, who dropped out of the college to found the pioneering social network company, has been on a nostalgia trip during the week leading up to Harvard’s commencement. On Tuesday, he live-streamed a visit to the dorm room where he started the website he initially called “thefacebook.com” and made available just to his classmates. Since its launch in 2004, Facebook has grown into the world’s largest online social network and inspired a host of competitors, including Twitter Inc. and Snapchat. Today some 1.9 billion people use Facebook each month. Its broad reach has made the company a lightning rod for controversy, most recently for the ways that producers of fake news stories used it to influence public opinion during the 2016 US presidential election and for a pair of incidents last month in which users posted videos of two murders, one of them live. The Menlo Park, California-based company has vowed to tackle both problems and earlier this month said it would hire 3,000 new workers to speed up the removal of videos depicting murder, suicide and other violent acts. 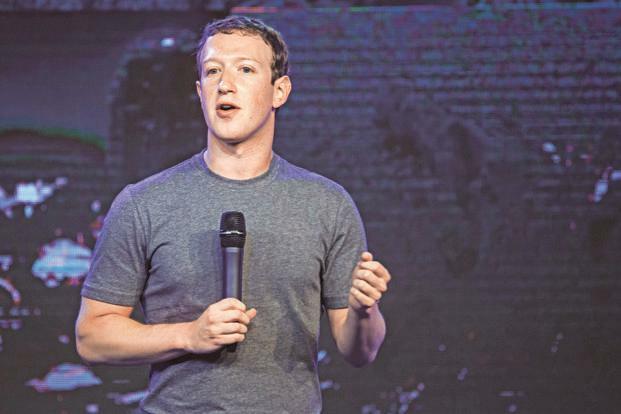 Zuckerberg’s speech on the 381-year-old school’s leafy campus in Cambridge, Massachusetts, will not be the first by a successful dropout who has returned to address a graduating class. Microsoft Corp. co-founder Bill Gates spoke to graduates in 2007, shortly after saying that he would step away from his day-to-day role with the world’s largest software company to focus his time on philanthropy.